Forward email with a simple shortcut. Hit Ctrl+F from your inbox to forward email. Does this shortcut look familiar? It’s the Find shortcut in all other Office ­applications. All that clicking and dragging making your hands sore? 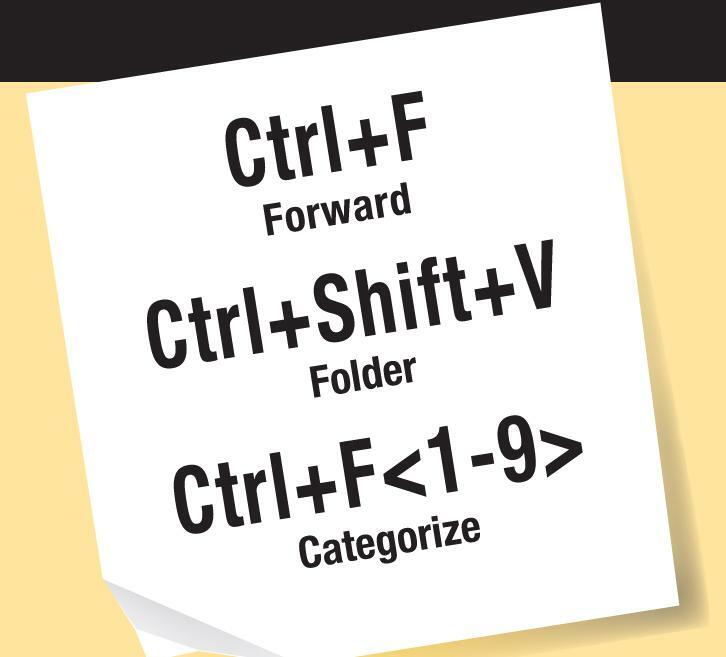 Move email to folders using Ctrl+Shift+V. This works with one or several selected emails. Categorize email automatically. You can assign your own Ctrl+Function Key (Ctrl+F<1-9>). Right-click, choose Categorize and Set Quick Click.